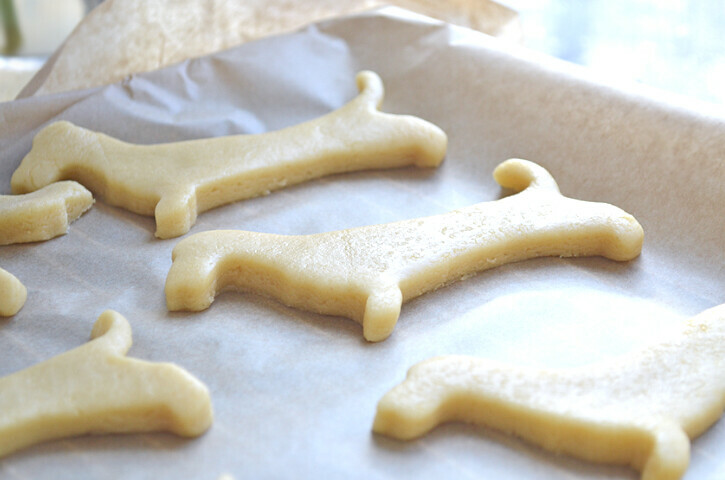 Simple sausage dog sugar cookies. 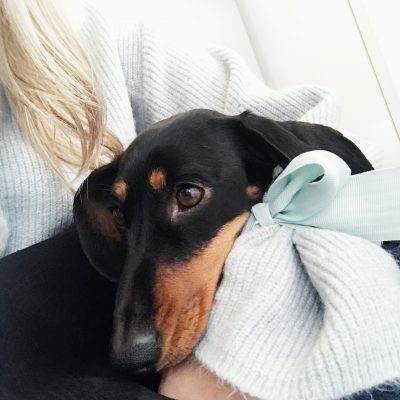 You guys know me, by now… lover of all things sausage dog. So of course I bought a sausage dog cookie cutter, how could I possibly resist? A sausage dog shaped, sweet, yet simple to bake biscuit. You could use this recipe to make any shaped sugar cookies. I bought my cookie cutter from here. Preheat the oven to 190, line a baking tray with some greaseproof paper, in a large bowl cream the butter and the sugar, until it’s light and fluffy. Then add the egg and vanilla extract. Sift in the flour and keep stirring until the mixture starts to form a dough. Sprinkle your work surface with a light covering of flour, then roll the dough mixture to a thickness of about 1cm. Now take your cookie cutter, to cut out the shape of your cookies and carefully place them onto the baking tray. Don’t worry if you come across a few casualties, a few of my sugary sausages lost a few limbs now and again. I just rolled out the dough and cut out another sausage shaped cookie. Place the baking tray into the oven for around 8-10 minutes, until they are lightly brown. Take them out, leave them to one side to cool and then decorate with icing if you like or eat them fresh from the oven. Aw that is so sweet! Love your baking posts. This is looking so adorable ! Nice pictures too ! Those are ridiculous cute! Now you've got me in the mood to bake some cookies! These cutters are so cute! I've never seen anything like these before! I really want to bake cookies now! Awww they're almost as cute as Oscar. ALMOST! Oh wow, these look so yummy!!! So brilliant! I would definitely get a King Charles cookie cutter if I ever saw one! They are sooo cute I love them! So cute! I'm obsessed with dogs too so these are perfect! 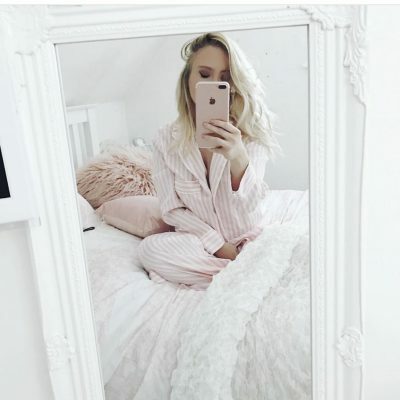 How cute this looks, amazing. I love cookies! The fact that they are shaped like a dachshund make it all that much better! awe these are so cute!! I want a fox cookie cutter! I LOVE sausage dogs.. and these are so cute! 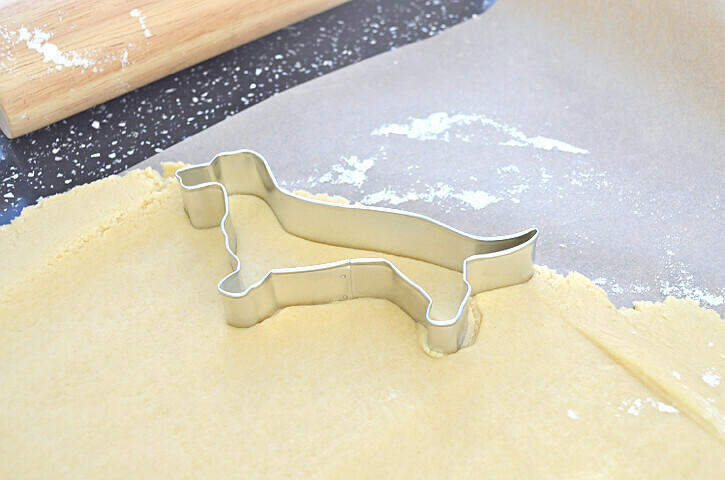 Tempted to buy a sausage dog cookie cutter!